This is the privacy notice of Fossil Tree Hotel. 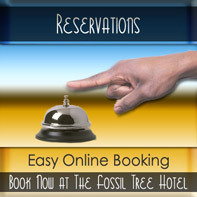 In this document, “we”, “our”, or “us” refer to Fossil Tree Hotel. When you buy products or services from us, or otherwise agree to our terms and conditions, a contract is formed between you and us. 1.3. provide you with suggestions and advice on our services and how to obtain the most from using our website. Through certain actions when otherwise there is no contractual relationship between us, such as when you browse our website or ask us to provide you more information about our business, including [job opportunities and] our services, you provide your consent to us to process information that may be personal information. 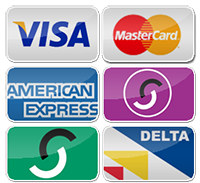 We do not collect any payment or keep any records of payment information on our website. If you bought our service, access to your payment information is restricted to authorised staff only at our registered office. 1.2. to record whether you have seen our content we display on our website. We use Google Analytics to analyze the website visits. Requests by your web browser to our servers for web pages and other content on our website are recorded. Information such as your geographical location, your Internet service provider and your IP address is provided in our Google Analytics platform. It also records information about the software you are using to browse our website, such as the type of computer or device and the screen resolution. We use this information in aggregate to assess the popularity of the web pages on our website and how we perform in providing content to you. We do not share this information by any means in any form to a third party. At any time you may review or update personally identifiable information that we hold about you, by either using our contact form on our website to send a request, or by telephoning us. After receiving the request, we will deal with it in a timely manner. If you wish us to remove personally identifiable information from our business records, you may contact us by using the contact form on our website, by telephoning us, or by sending us an email to info@fossiltree.co.uk. We use Secure Sockets Layer (SSL) certificate to verify our identity to your browser and to encrypt any data you give us.